The Xmas Market in Siena on Saturday 1st and Sunday 2nd December is the beginning of Xmas season in Siena. In the beautiful frame of Piazza del Campo, you will enjoy the magical atmosphere of this festival. It is more than a traditional Xmas market because you can find there high quality local food, wines and handicrafts. The market in the Campo Square in Siena allows us a make a step back in Middle Age. In fact, in the fourteenth century the Campo Square was the real heart of the town and especially important for trade and social life. 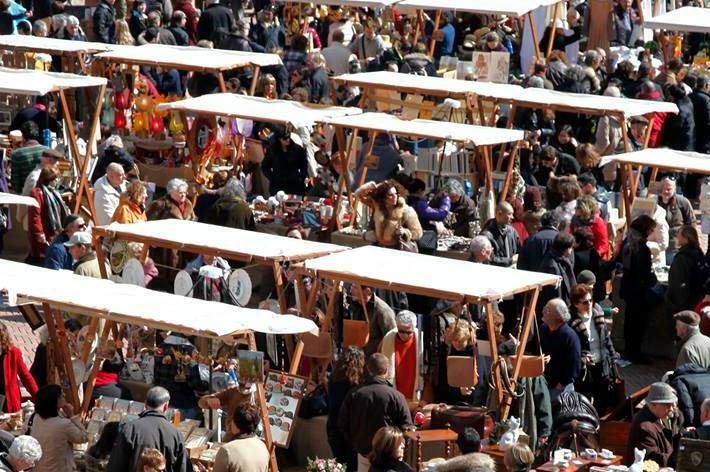 Nowadays we have these two days to relive the atmosphere of the historic “Big Market” which was held once a week in the medieval Siena in XIV century. Like every year there are guided tours of the city centre organized by the Siena guides as well as children’s activities promoted by Siena for Kids. For wine lovers there is a special wine tasting area where you can enjoy a glass of Chianti or Brunello. cavallucci (hard biscuits with nuts and anise flavour). They are local products of the best bakeries and made according to traditional recepies. Especially at Christmas time you can find plenty of choice and the highest quality and freshness of products . Restaurant in Town are also taking part to this event offering menus dedicated to typical Tuscan flavors. So you enjoy even more the traditional food of Siena. Borgo Grondaie, just 1.5 km from the historic center of Siena, is ideal place to stay for a romantic weekend in Siena- Tuscany. Especially now at Christmas holidays in Siena it is worth a visit! It is not just because it is artistically lighted and for interesting events scheduled from now to the end of the year .